Just as his name implies, Dr. Ghaheri hails from the great land of southwestern Ohio. He did his undergraduate training in Spanish and Anthropology at The Ohio State University, and remained there for medical school. 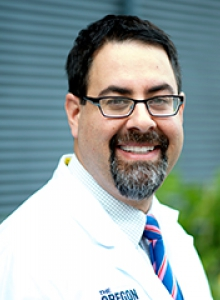 In 2002, he and his wonderful wife relocated to Portland, Oregon, where he did his residency training in otolaryngology/head and neck surgery at Oregon Health Sciences University. In 2007, he joined The Oregon Clinic, the largest multispecialty clinic in Oregon.